About Andrew Osmond | Anime etc. My name is Andrew Osmond. I am a British freelance journalist who lives in Ascot near London, but who can frequently be found in Tokyo. I’ve freelanced since the mid-1990s, often specialising in animation, anime and fantasy media. As well as writing reviews, I’ve also written up interviews and set reports, based on my trips to studios in Britain and Japan. I’ve also supplied PR text on films for such companies as Fetch Publicity. If you have something you would like me to write, please contact me at this form with the details, including word count and pay rate. 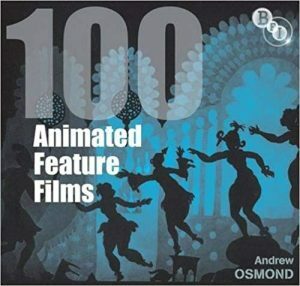 100 Animated Feature Films (BFI), covering everything from Akira to Toy Story. Available from the BFI Shop, Amazon UK and Amazon US. 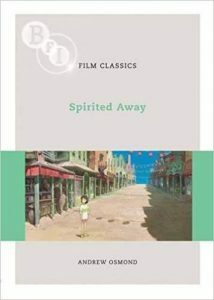 a “BFI Film Classic” book on Hayao Miyazaki’s Oscar-winning fantasy animation Spirited Away, available from the BFI Shop. 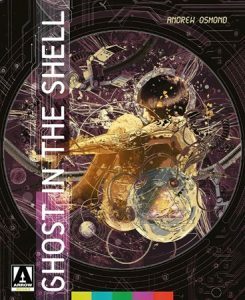 A study of the 1995 Ghost in the Shell animated film for Arrow Books. Available from the Arrow Films website. 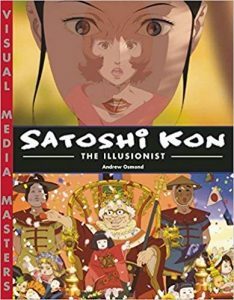 Satoshi Kon: The Illusionist (Stone Bridge Press), about the brilliant anime director of Perfect Blue and Paprika who died tragically young in 2010. Unfortunately, the book is out of print. I was also one of the editors on the three-volume Animation: A World History (Focal Press), under Giannalberto Bendazzi. My film articles and reviews have appeared in Sight & Sound and Empire magazines. I also had a monthly film column in Judge Dredd Megazine from 2009 to 2012. I write about science-fiction and fantasy media for SFX magazine. 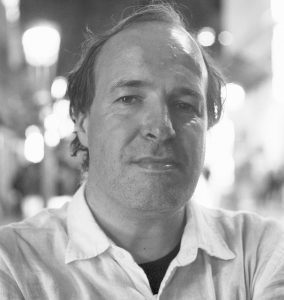 Other publications I have written for include The Guardian newspaper, L’Écran fantastique (which translated my articles into French), Cinefantastique and Animerica. Directors I’ve interviewed include Guillermo del Toro, Danny Boyle, Edgar Wright, Alex Garland, Gareth Edwards and Gareth Evans. Actors I’ve interviewed include Angelina Jolie, Gillian Anderson, Christian Bale, Andy Serkis, Martin Freeman, Simon Pegg, Colin Salmon and Dianna Agron. Authors I’ve interviewed include Terry Pratchett, Alan Moore, China Miéville, Tad Williams, Connie Willis, Philip Reeve and Peter Beagle. Animation (not anime) professionals I’ve interviewed include Nick Park (Aardman), Pete Docter (Pixar), Chris Wedge (Ice Age), Chris Sanders and Dean DeBlois (Lilo and Stitch), Jimmy Murakami (When the Wind Blows), Brian Cosgrove (of Cosgrove Hall), Andreas Deja (Disney animator), Richard Williams, Bob Godfrey, Bill Plympton, the bolexbrothers and the Brothers Quay. Anime professionals I’ve interviewed include Satoshi Kon (Perfect Blue), Hideaki Anno (Evangelion), Isao Takahata (Princess Kaguya), Toshio Suzuki (president of Studio Ghibli), Masao Maruyama (founder of Madhouse and MAPPA), Makoto Shinkai (Your Name), Mitsuhisa Ishikawa (co-founder of Production I.G), Kenji Kamiyama (Ghost in the Shell: Stand Alone Complex), Naoko Yamada (A Silent Voice), Masaaki Yuasa (Mind Game), Yoshiyuki Tomino (Gundam), Yoshikazu Yasuhiko (Gundam), Naoyoshi Shiotani (Psycho-Pass), Goro Miyazaki (Tales from Earthsea) and Hiromasa Yonebayashi (Mary and the Witch’s Flower).